Well, I am so delighted that I am almost speechless. In a mere 24 hours …. I have to admit that I found myself a bit shy of the tall, red-haired man who performed a bit of a miracle so energetically. I came in and out of the house, met his lovely wife and youngest (part of his team), made them a cup of tea but not much else. Now it will be up to me. It looks absolutely splendid, happy gardening. Send him over to NE Victoria! Woo Hoo!!! Excited to see your veggie garden come to fruition! Can’t wait to hear how wonderful it is to harvest! It will be awhile but I am excited too! They have given you a great start. I look forward to seeing what you have grown. I have taken your advice, especially as we enter summer. Don’t forget your new gardening club friends. I’m sure they’ll be happy to give you some advice. Important thing is to talk to the plants every morning and let them know you love them. Seriously! I talk to my potted veggies and herbs all the time. They never grumble or answer back! Okay I will do as you say. This morning I went out to water the garden and yelled out “Hi vegetables!” It gave the peafowl and guinnea fowl a terrible fright! Nothing like the taste of fresh vegetables!That will convert all the naysayers. But of course there is weeding and watering but worth it for the results.I am curious about the process, watering etc especially with the heat. I live in the prairies and we have a short growing season, although lots of daylight hours in the spring and summer because of how far north we live. So far I am loving it but the wild rabbits are getting in – argh! Looks fantastic! Growing food to eat is both incredibly rewarding and extremely challenging (competition in nature are diverse and seem to get there first). No shame at all in getting help. I need all the help I can get – I do NOT have a green thumb. What fun! I look forward to hearing how your gardening adventures progress this year! The stout fencing looks very serviceable. I hope it protects your future abundant crop well. The rotten rabbits keep getting in alas. I am going to require the services of two men to refortify the fencing. I met them today and my concern was met with their amusement. Rabbits are persistent little beggars. Wow…these look fantastic! I’ll say it again, what a GREAT idea for a business. You gonna do some canning of all your new veggies Jules? 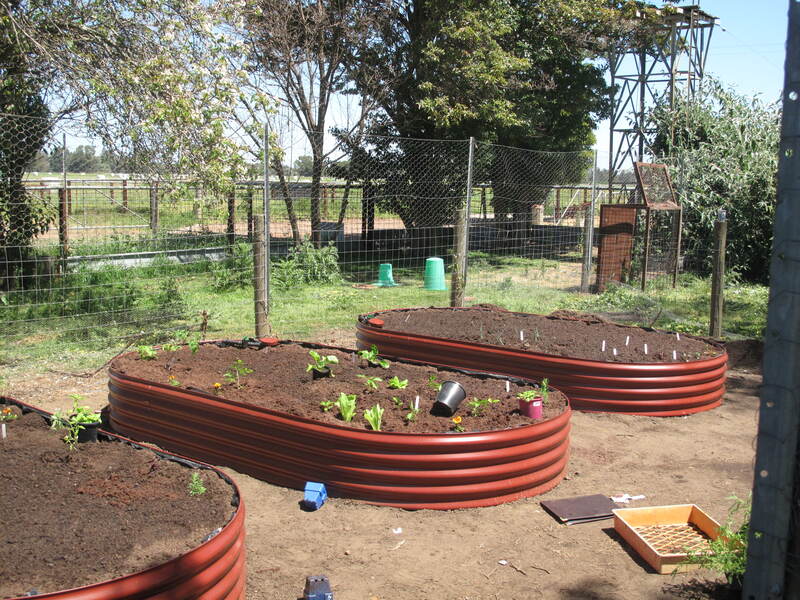 I feel inspired to grow some vegetables too….I hope the feeling will pass! Oh Tersia you cracked me up! 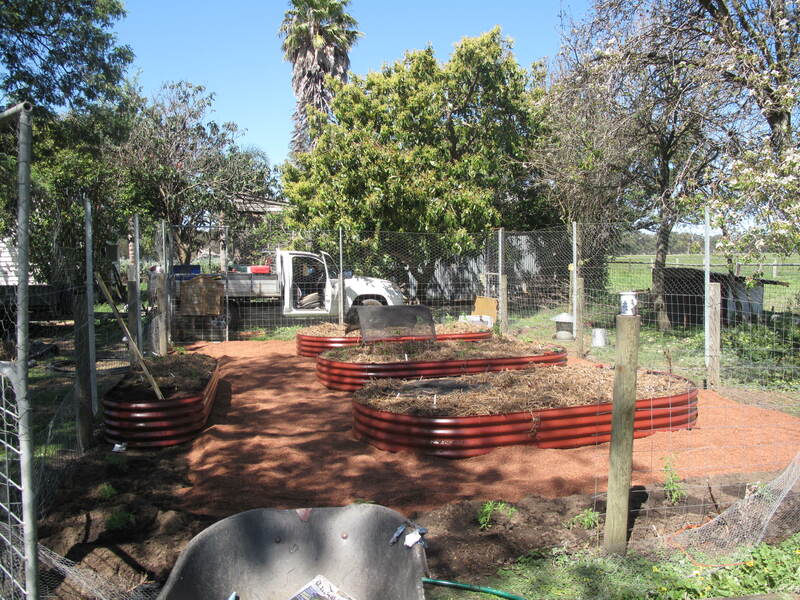 Perhaps regular posts on the new veg garden might help you keep on top of it? 😉 Quite splendid. 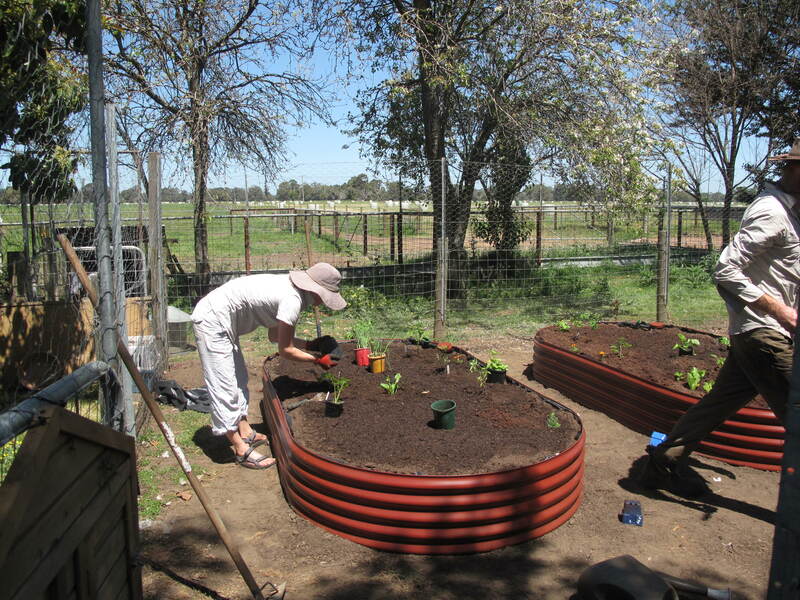 I LOVE the design of your vegetable plots … not having to bend down on knees to tend to it! That is all down to Dan the man! Julie, you cannot believe how happy I am to see you branching out and realizing a dream for yourself. How wonderful! I just hope your fence about the garden is high enough to keep out the chooks!!! Their little feet make mincemeat of veggie gardens! 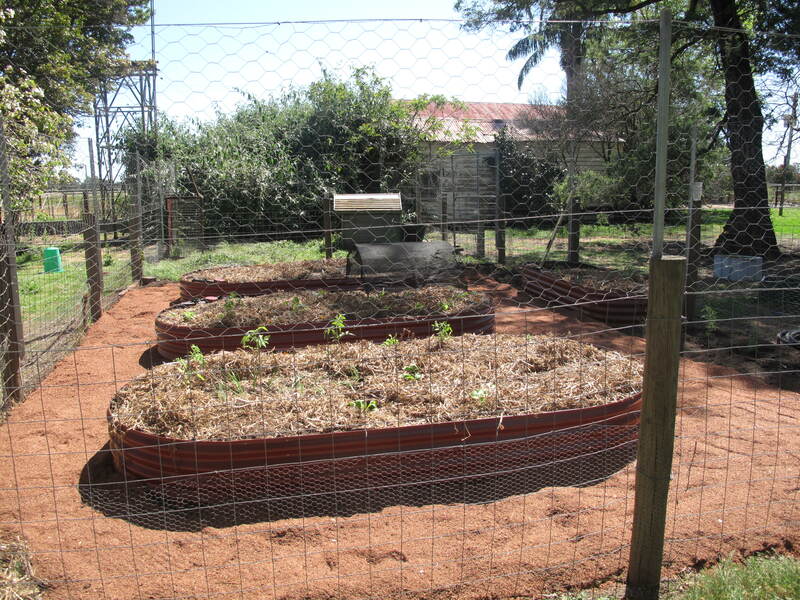 Those are wonderful raised beds by the way. I have never seen them available here. And there is even a water system underneath the beds. I am not quite sure how it all works but Dan is coming back to check it out a couple of times before he leaves me to it. I love those thingys for raised beds. Me too and I don’t know what they’re called either. They look like corrugated pieces that might be used on a roof.